Looks like you are currently in United States but have requested a page in the Australia site. Would you like to change to the Australia site? The concepts of veterinary genetics are crucial to understanding and controlling many diseases and disorders in animals. They are also crucial to enhancing animal production. Accessible and clearly presented, Introduction to Veterinary Genetics provides a succinct introduction to the aspects of genetics relevant to animal diseases and production. 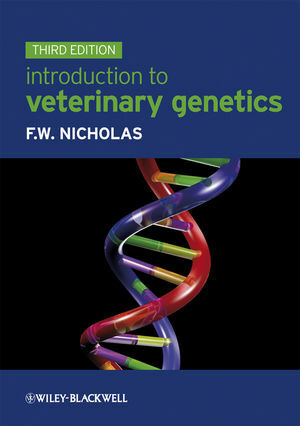 Now in its third edition, this is the only introductory level textbook on genetics that has been written specifically for veterinary and animal science students. Coverage includes: basic genetics, molecular biology, genomics, cytogenetics, immunogenetics, population genetics, quantitative genetics, biotechnology, and the use of molecular tools in the control of inherited disorders. 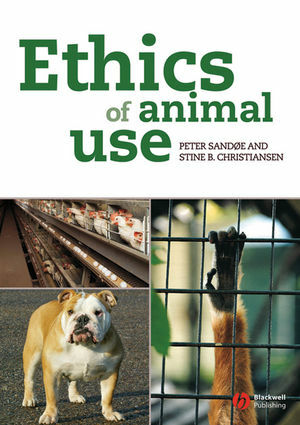 This book describes in detail how genetics is being applied to artificial selection in animal production. It also covers the conservation of genetic diversity in both domesticated and wild animals. End-of-chapter summaries provide quick recaps. Covers new topics: epigenetics, genomics and bioinformatics. Thoroughly revised according to recent advances in genetics. Introduction to Veterinary Genetics is still the only introductory genetics textbook for students of veterinary and animal science and will continue to be an indispensable reference tool for veterinary students and practitioners alike. Frank Nicholas is Emeritus Professor of Animal Genetics in the Faculty of Veterinary Science at the University of Sydney. He has edited and co-authored several books about genetics and one about Charles Darwin, and he created and maintains Online Mendelian Inheritance of Animals (OMIA; omia.angis.org.au), a comparative knowledge-base of genetic disorders and other familial traits in non-laboratory animals.